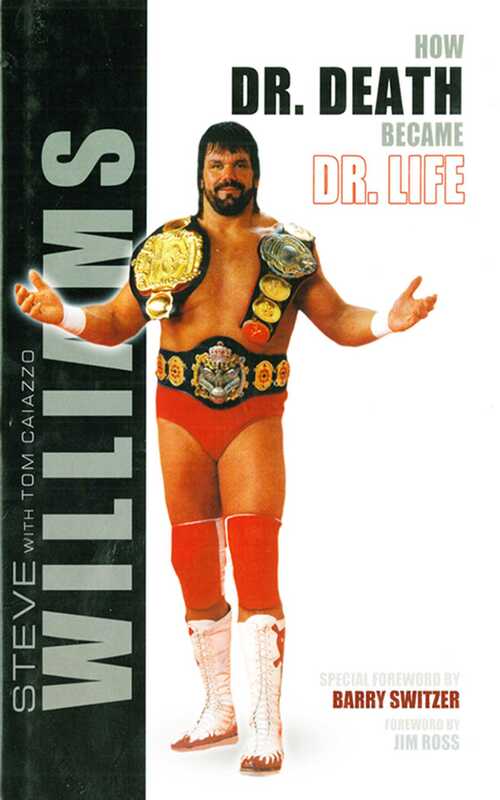 "Dr. Death" Steve Williams was given a second chance. In the prime of his life, Steve was diagnosed with T-4 throat cancer. With God by his side, Steve overcame all odds and survived this deadly disease. Now, Steve is committed to giving his testimony to the people from the wrestling ring. As an athlete, Steve has "done it all." In 1978, he graduated from Lakewood High in Colorado. Recruited heavily by many major colleges, the star athlete eventually accepted an athletic scholarship to the University of Oklahoma. Steve is one of very few legitimate wrestlers to make the transition from the amateur ranks to the professional wrestling ring. While at the University of Oklahoma, he was a two-time Big Eight free-style wrestling champion. As a collegiate football player, he was also a two-time Big Eight champion. Under legendary coach Barry Switzer, Steve went to three major Orange Bowls, the Sun Bowl, and the Fiesta Bowl. He also played professional football as a defensive nose guard for the New Jersey Generals in the United States Football League (USFL). Because of his amateur wrestling background, Steve was generally regarded as one of the most dangerous "shooters" in the business. This tough reputation earned him the nickname "Dr. Death." For the past 20-plus years, he has worked for all major wrestling promotions throughout the world, including World Wrestling Entertainment (WWE). Steve has held numerous titles and received a plethora of accolades during his career. In 1985, he was named Most Improved Wrestler and First Runner-Up, Tag Team of the Year (with Ted DiBiase). One year later, he defeated the One Man Gang at the 21:43 mark in Houston, Texas, to become the winner of the $50,000 Pro Wrestling Illustrated/UWF Challenge Cup Tournament. In 1991, Steve and his partner, Terry Gordy, became the first American tag team to win All Japan's annual tag-team tournament in consecutive years. Most recently, in 2003, Steve won the NWA Heavyweight title from Terry Taylor in China. Steve is also an Asian wrestling icon, for he is the only American who has ever worked for two major companies at the same time in Japan--New Japan and All Japan.